“Lead scoring” is assigning a value or points score to the behaviors of your email subscribers. For example: when a subscriber opens an email you might assign 1 point to their account; if they click a link in that email you might give them 2 points; etc. Lead scoring is INCREDIBLY powerful when used correctly – because it allows you to respond to your customer’s needs on their terms, NOT blast them with emails when they might not be ready to hear from you. Are you using lead scoring in your business? Any questions about how to implement lead scoring? Please leave a comment below! Welcome to my February 2012 Adsense income report! This is the second instalment in my monthly Adsense income series – the series in which I completely expose myself (mistakes, blunders, omissions, lucky breaks, and skilful, intelligent manoeuvres alike)! Welcome to my very first monthly Adsense earnings report! In this post I’m going to share with you exactly how much money each of my websites made last month in Adsense revenue, along with the lessons I learned and my plans for next month to grow my income. Now, you’re probably wondering why someone would want to expose themselves, with their naked bits flashing everywhere, by revealing publicly how much money they’re making. Email Marketing: How to Start Building a List and Developing Relationships in Your Sleep! I can tell you from my own business experience that regularly communicating with people via email builds trust and credibility – and once that trust and credibility are built up, it’s MUCH easier to make sales. This handful of emails (which I’ll tell you more about in a minute) was to a small list, without any formal “launch” process, JV partners, or affiliates. 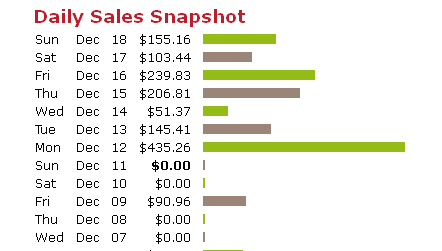 I generated these sales just by sending a few emails to one list. In this post I’m going to show you how to start building a list of your own, so you can start nurturing the relationships that lead to cashflow. But first, let me take a minute to explain a few reasons why email marketing is so powerful. Want a simple way to increase the profits from your website or online business? Split test! 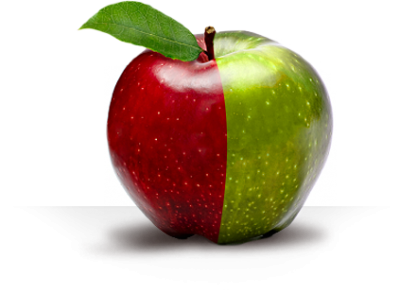 Not only can split testing measurably increase your profits, I’d go as far as to say that your online business will be stuck in neutral if you don’t do any split testing. In this post I’m going to explain why and what to test, and hopefully get you started on how to test. Split testing involves testing 2 or more versions of “something” (an ad, a headline, etc) to find out which performs best. As an example, you might test 2 different headlines on your landing page (half of your visitors see one headline, and half see the other headline) to find out which headline generates the most sales. Once you discover which headline generates the most sales, you can start showing that headline to ALL of your visitors, and eliminate the poorly performing headline.